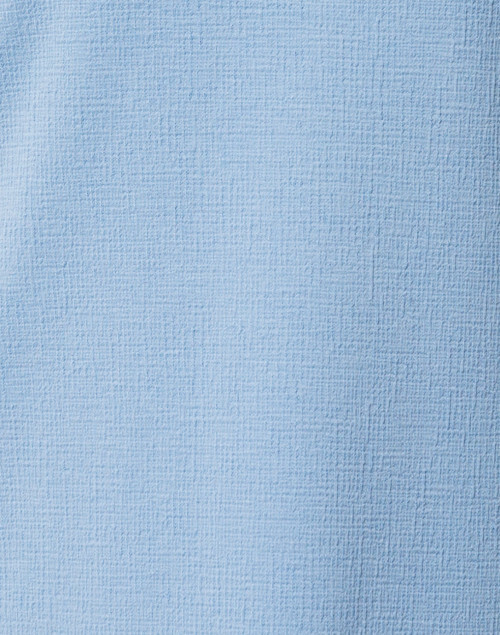 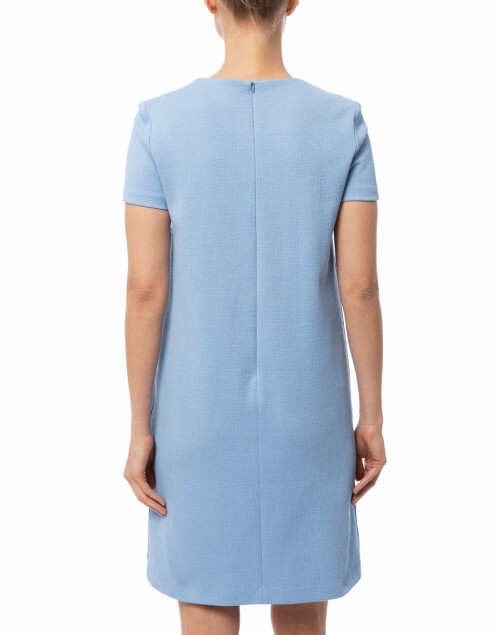 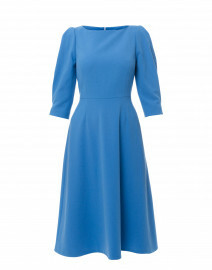 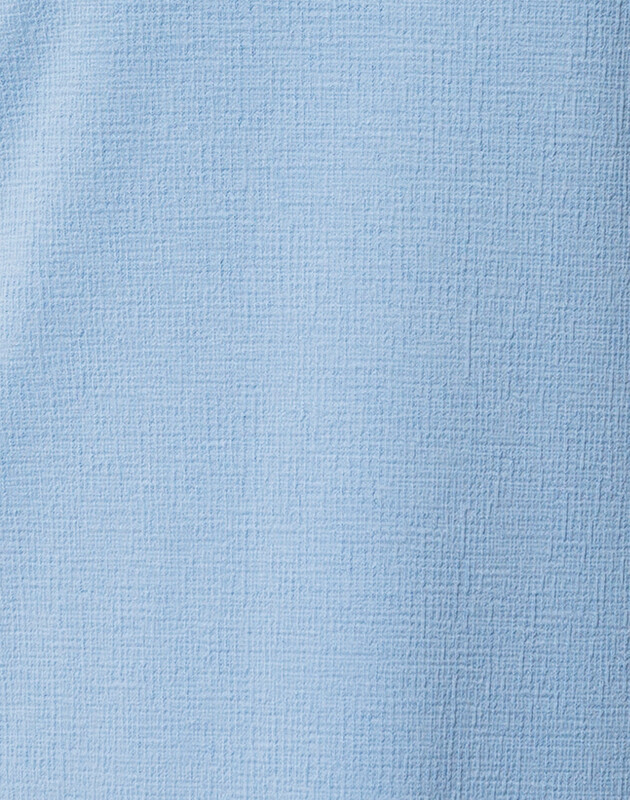 Harris Wharf London's baby blue dress is an elegant piece with a contemporary feel. 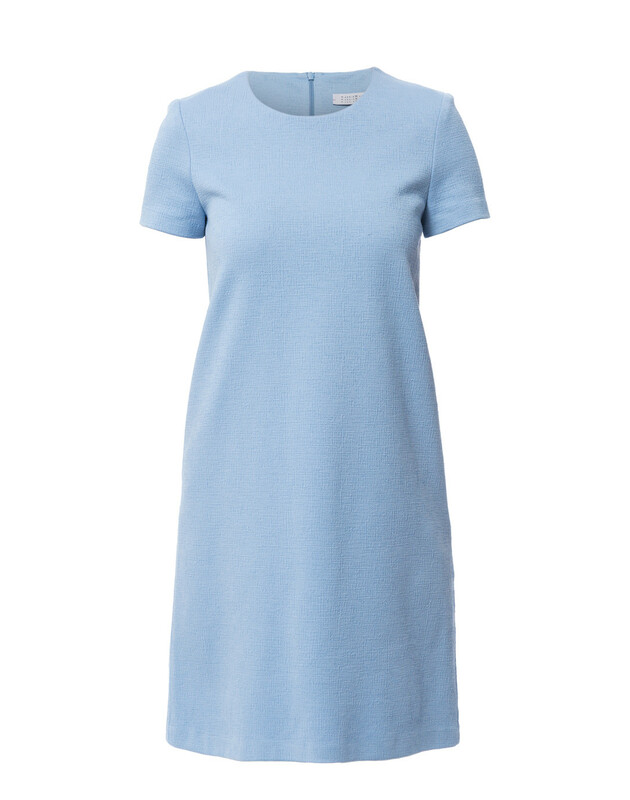 It's cut from stretch cotton fabric to a flattering shift silhouette, and finished with short sleeves, and a round neckline. 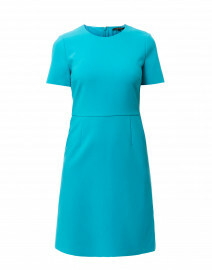 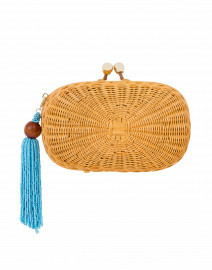 Pair it with a statement gold necklace for a feminine evening look.